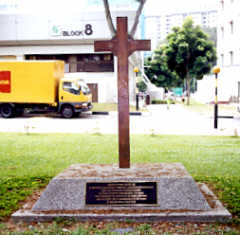 During the last few days before the capitulation of Singapore on 15th February 1942, a water tank in the grounds of the General Hospital was used as a mass grave. After the war, it was decided not to disturb the grave as identification of civilian and service remains would not be possible. 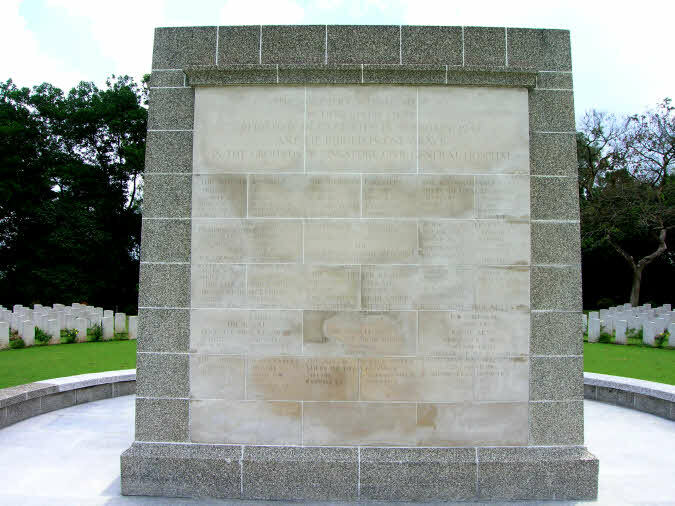 These words are inscribed on the panel on the plinth. WHO PERISHED IN CAPTIVITY IN FEBRUARY 1942.